Deciduous shrub. Slow growth. Upright form. 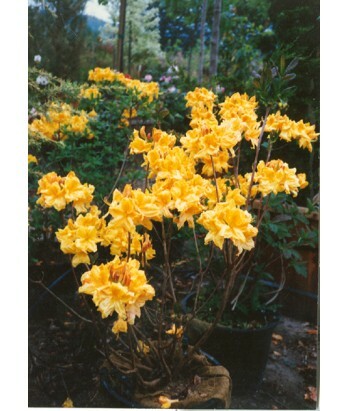 Large clusters of big fragrant golden yellow blooms in May. Foliage turns orange-red to dark red in fall. Regular water needs in well-drained soil once established.